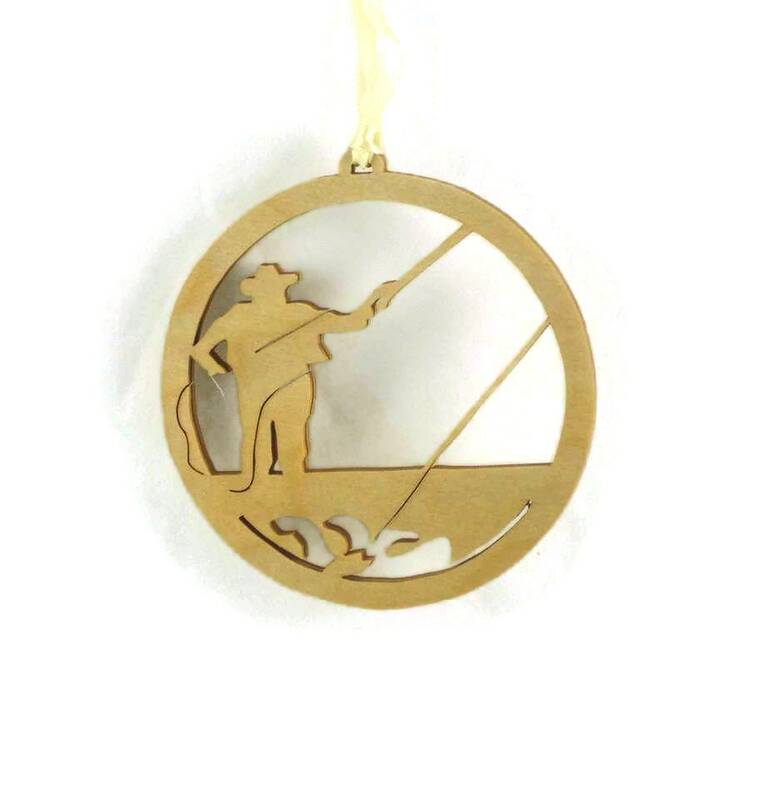 Have that fisherman, outdoorsman that has everything. 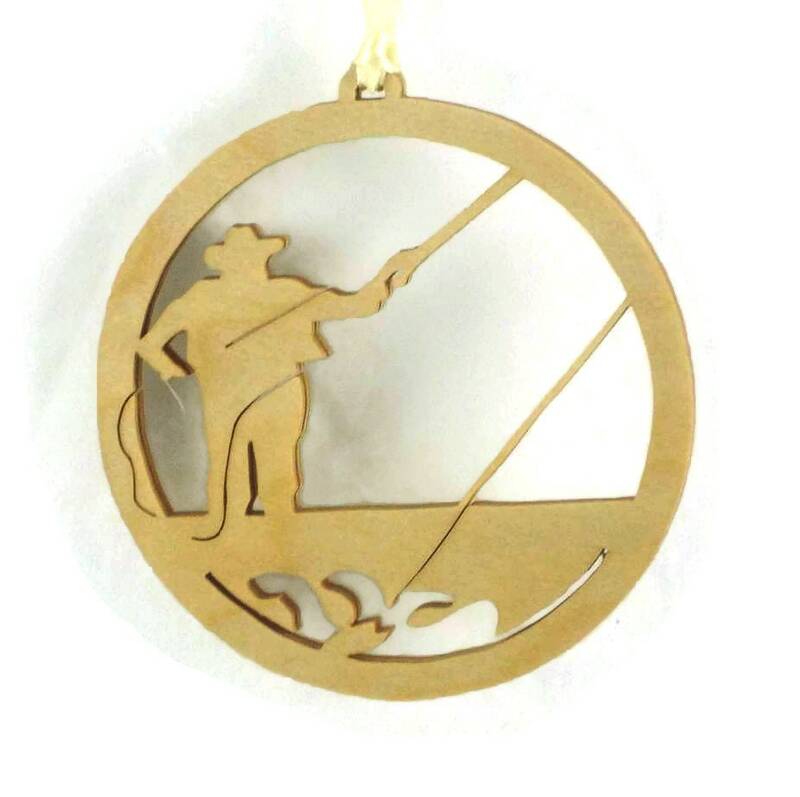 This handcrafted fly fishing fisherman Christmas ornament would be the perfect gift for them to decorate their tree with. 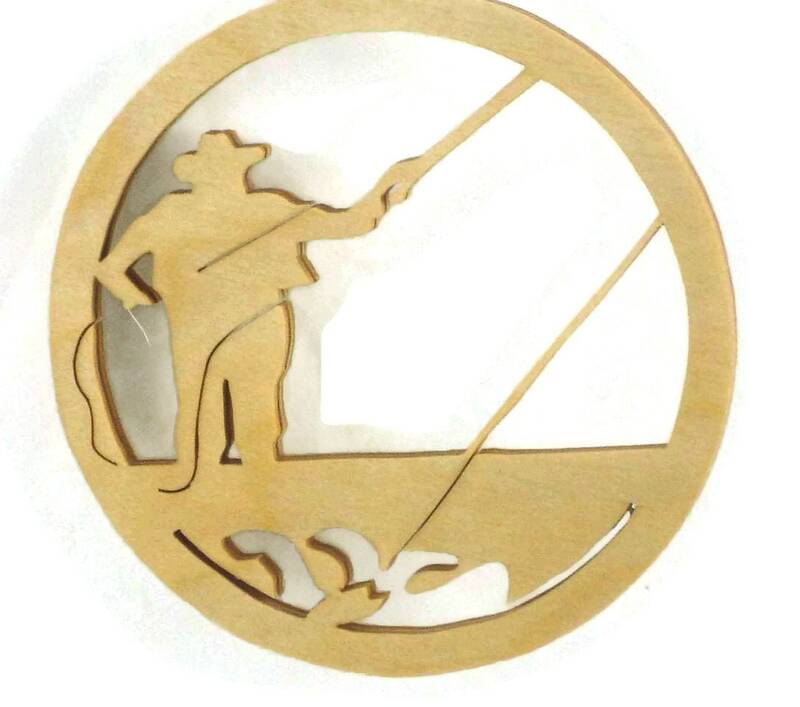 This ornament was handcrafted using a scroll saw and was cut out from 1/8 inch birch plywood. 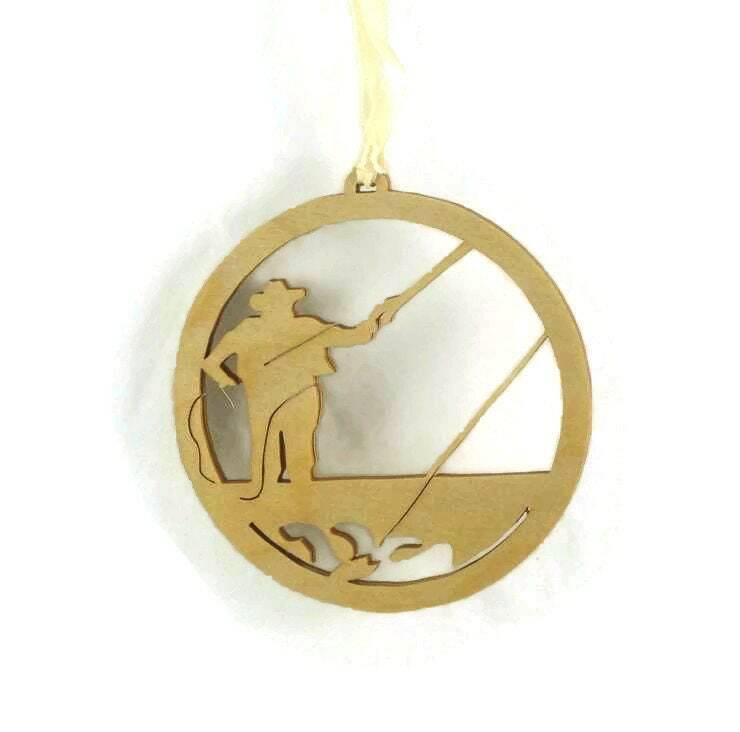 A ribbon was added for ease of hanging this on your Christmas tree or somewhere in your home. 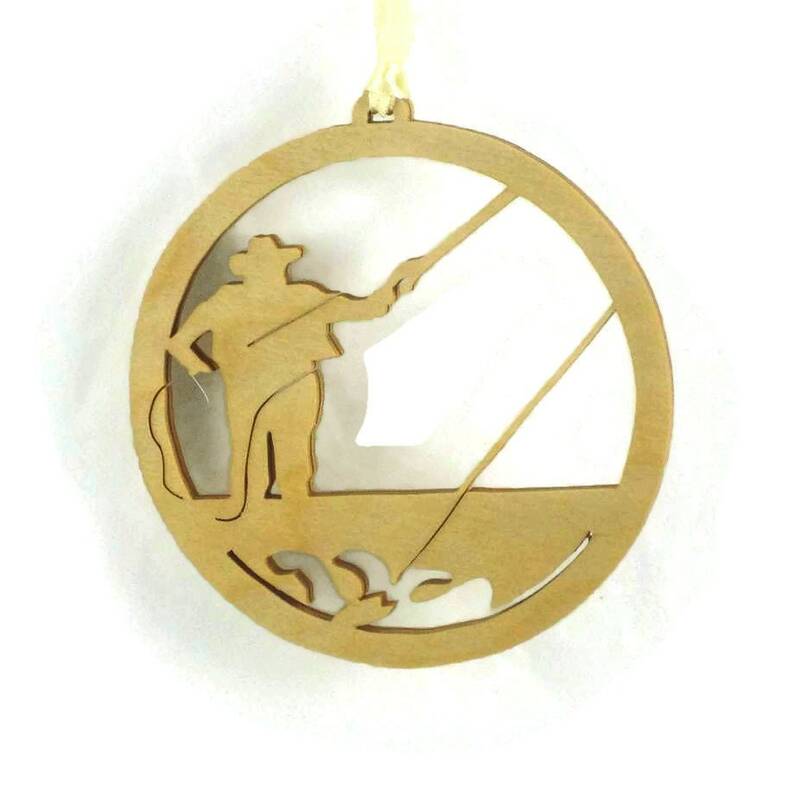 The Fly fisherman ornament is approximately 4 inch diameter. A Danish oil finish was applied to these to bring out the colors of the wood grain as well as to protect it for many generations. NOTE: Ribbon colors vary, and wood grain may look different than those pictured. Perfect as requested. He added a date for me. He loved it!